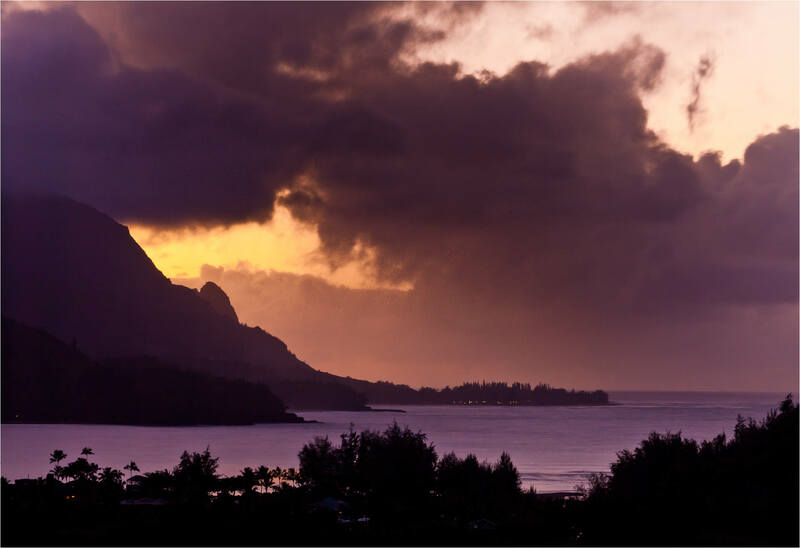 The sunset over Hanalei Bay on Kauai’s North Shore is remarkable in the summer I was told by a local photographer, Daniel Lane, last night when we met while shooting the sunset from one of the lookouts over the Bay last night. In July the sun sets in line with the mouth of the bay. At this time of the year, the sun hides behind the edge of the Na Pali coast before setting so that you can’t see it hit the ocean from Hanalei. Nevertheless, I really enjoyed the shoot last night watching the subtle color come in while dodging the steady blasts of rain. A great spot to photograph the bay and a good chat with a fellow photographer. With the sun having set for about 20 minutes when I photographed the image above, the purples had taken over as the dominant color. The rain settled in after this or I would have enjoyed watching the night come in more. This entry was posted on December 23, 2011 by Christopher Martin. 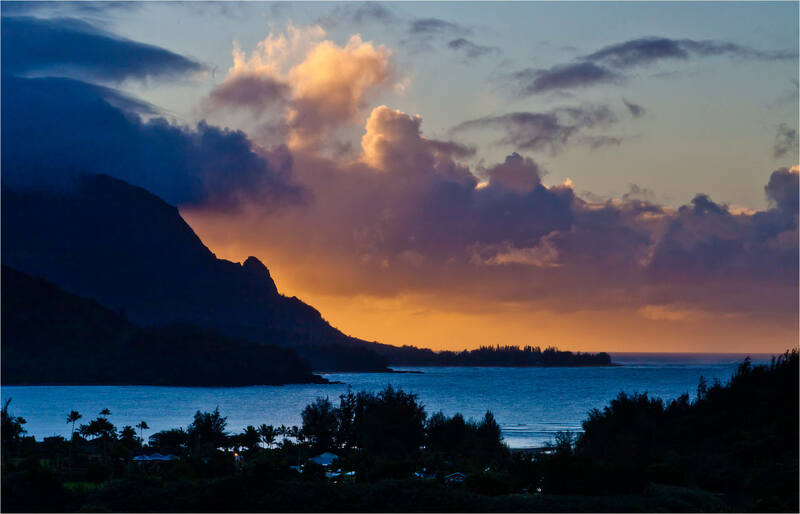 It was filed under Hawaii, Landscapes and was tagged with Hanalei Bay, Hawaii, Kauai, landscape photography, ocean, sunset. Stunning photos – my favourite is the second one. I love the purple colour you’ve captured. Muy buenas fotos, felicitaciones mi amigo.